Elizabeth C. Bunce decided to become a writer at age 15, and since then has never seriously considered any other career path. She studied literature and anthropology in college, where she developed a deep respect for traditional storytelling — myths, folktales, and legends. These sources continue to influence her work. A native Midwesterner, Elizabeth lives just outside Kansas City with her husband and her dogs. Here’s Elizabeth C. Bunce’s website. Digger’s Story — (2010-2011) Young adult. Publisher: In a glamorous castle full of Llyvraneth’s elite, Celyn Contrare serves as a lady-in-waiting to shy young Merista Nemair. Her days are spent dressing in velvet, attending Lady Merista, navigating court gossip, and charming noblemen over lavish feasts. And at night, she picks locks, steals jewels, forges documents, and collects secrets. Because Celyn isn’t really a lady-in-waiting; she’s not even really Celyn Contrare. She’s Digger, a sneak-thief on the run from the king’s Inquisition, desperate to escape its cruel instruments and hatred of magic. If she’s discovered, it will mean her certain death. But life as a lady-in-waiting isn’t safe either. The devious Lord Daul knows her secret, and he’s blackmailing her to serve as his personal spy in the castle. What she discovers — about Daul, about the Nemair, even about her own Lady Merista — could signal civil war in Llyvraneth. And for a thief trained never to get involved, taking sides could be the most dangerous job yet. StarCrossed starts with a bang. Digger, a young thief, has just escaped capture and turns up alone and breathless at the place she was supposed to meet her sweetheart and fellow thief, Tegen. But as she goes over the night’s events in her mind, she realizes Tegen didn’t get away and is probably dead. Afraid of getting caught herself, Digger takes her first opportunity to get out of the city. That opportunity comes in the form of four teenage aristocrats in a pleasure boat. She gives them a fake name, Celyn Contrare, and a semi-fake life story. Digger, a.k.a. Celyn Contrare, is back in the city of Gerse. 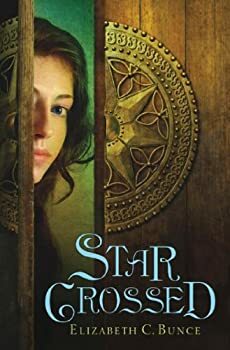 Following a strange series of events, she learns that her friend Durrel Decath stands accused of murdering his wife, a woman from one of Gerse’s wealthiest merchant families. 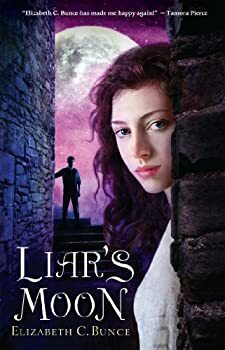 Digger sets out to clear Durrel’s name, even though, as she puts it, “I had no experience investigating crimes; committing them, yes, but never reconstructing them, piece by piece, backward in time.” What follows is an exciting whodunit… with magic.